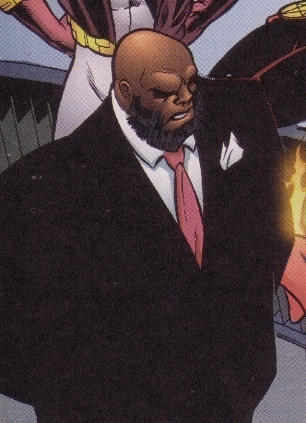 This week’s minorities in cartoons entry is Josiah Power, a DC Comics character. Josiah first appeared in “JLA” #61 (February 2002). He was created by Kurt Busiek and Tom Grummett. The new team, named “Power Company,” appeared in a self-named, short-lived series in that ran from 2002 to 2003. Power Company hasn’t appeared very often since then. To my knowledge, they’ve yet to appear in the New 52 reboot. The “partners” and “associates” in Power Company consisted of various minor DC Comics characters. The most well known members were the original Firestorm and one of the multitude of DC characters named “Manhunter” (the Kirk DePaul version, in this case). One Power Company member goes back quite a ways: Silver Shannon, Josiah’s personal assistant, was the former lead singer of the Maniaks. They’re a Silver Age DC rock group that first appeared in 1967’s “Showcase” #68. Speaking of partners, Josiah also had a romantic one. Josiah lived with his boyfriend, Rupert. Next Post:A live-action Archie movie has been announced!